That's right ScrapFits newest workout Salt and Pepper is up. For this workout your LO needs to use black and white as the primary colors and only one other color. I chose the blue in these Teresa Collins papers, they just worked so well with Austin's shirt. And of course all good challenges have a prize to go along with them. 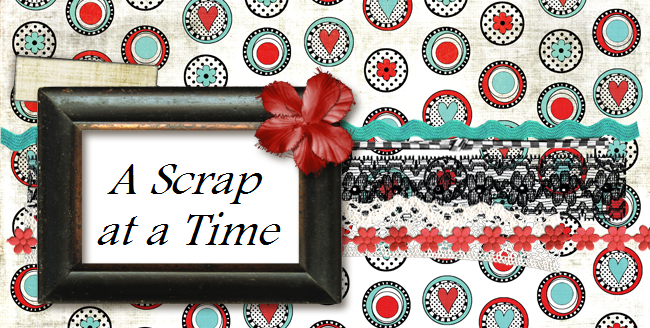 This month you have a chance to win this fun kit from ScrapFit. What a fun layout with those photos! I love how you folded the paper to reveal the back side, what a great technique.